This exercise adds rotation in the lumbar spine to the basic bridge. It is intended to increase mobility at all segments of the spine. 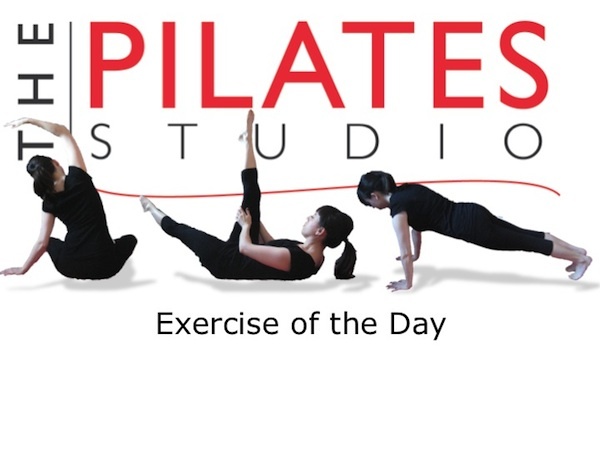 This exercise requires the use of the oblique abdominals to support the spine in rotation. When you are rotating the spine to one side be sure to avoid collapsing into an anterior tilt of the pelvis. You want to maintain open spaces at the front of the hips and as you are lowering one side of your pelvis towards the floor. Remember that finding mobility at each segment of the spine allows you to decrease the wear and tear on each individual and joint.